The Leadership Team is very pleased to announce the appointment of Rev. Doug Sider, Jr., as the new Executive Director of BIC Canada. Doug will begin responsibilities early this fall. Immediately upon Darrell Winger’s decision to step down, the Leadership Team commenced a prayerful discernment and selection process for a qualified and gifted leader. We know that many across the church have been praying for God’s will in this time of transition; we are very thankful for this prayer support and for the way in which God has provided for our leadership needs. 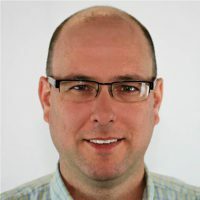 In selecting Doug for this role, we believe he is both gifted and uniquely prepared to lead BIC Canada as we pursue our vision together. Doug grew up in Saskatchewan, the son of a BIC pastor. He committed his life to Christ at an early age and, as a teen, sensed a calling to fulltime ministry. This sense of calling shaped the choices he made including attending Briercrest College, completing the Arrow Leadership Program, and marrying his partner in life and ministry, Tonya, in 1995. Doug and Tonya church planted in Calgary from 1996 – 2000. In 2001 Doug became the pastor of Summit View BIC Church in New Holland, PA. During this time the congregation experienced fresh growth, a renewed focus on mission, the elimination of long term debt, and the planting of a daughter church. In addition to his role as pastor, Doug has served both at the Regional Conference and the General Conference levels in areas of stewardship, conference development, and world missions. In 2009, Doug became Bishop of the Susquehanna Conference of the Brethren in Christ Church, USA. During this time there was a significant change in structure to facilitate alignment of conference ministries around vision and missional aspirations, two churches were planted, and several congregations were re-started to become healthy ministry points in their communities. Since 2012 Doug has been the Executive Pastor at Carlisle Brethren in Christ Church. Doug has a deep love for the local church and seeing all congregations being beacons of Christ’s peace and transforming power in their communities and around the world. Doug looks forward to partnering with the Leadership Cabinet, ministry leaders and congregations across BIC Canada. Doug enjoys reading, gardening and spending time with his family. Doug and Tonya are the proud parents of four children: Prestyn (15), Grace-Anne (13), Ashly (10), and Carter (6). 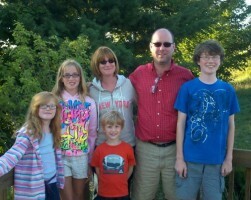 We welcome Doug and Tonya, and their family, back to Canada and to serving in leadership among us. Please join us in praying for the Siders in these coming months of transition and adjustment to this new leadership role, as well as for the church as we continue to pursue the vision God has given us. These are exciting days of opportunity for BIC Canada and we look forward to this new chapter of our life and ministry together.